So I have been Clinique 3-step for a couple of years now, and while I do enjoy using it, I felt like my skin needed a change. So I jumped online, and did a little research, I was after something preferably owned & made in Australia. There are quite a few home grown skincare companies but not all of them are made in Australia. In the end I ended up choosing Jurlique! "Our story began in 1985. Jurlique was founded by Jurgen and Ulrike Klein, a German couple who migrated to Australia armed with their natural expertise – his as a biochemist, hers as a botanist – and a vision to create the purest skin care on earth. The Kleins had searched the world for the perfect parcel of land to build their dream. They knew that in order to grow the most potent herbs and botanicals, nature’s elements (earth, water, air and sun) had to be at their most pure. And so it came to be that Jurlique’s first farm was nestled in the pristine hills surrounding Adelaide. The name Jurlique is a phonetic combination of our founders’ names. What was once their two-person operation – Ulrike grew and picked the herbs and botanicals, Jurgen formulated and manufactured the products – is now sold in more than 20 countries across the globe. We still grow our potent herbs and botanicals and manufacture our organic products in the Adelaide Hills." 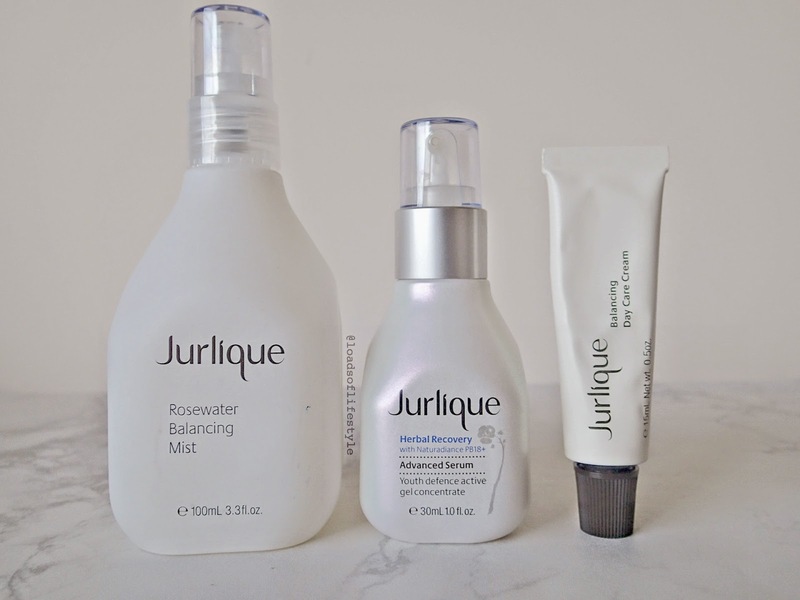 I was really excited to try Jurlique's range, now I will say this upfront, Jurlique isn't exactly the cheapest product to buy and definitely is in the mid to high price range. But I believe that your skin isn't something you should be skimping on. As it is your body's largest organ, you really need to look after it with the best products you can afford. This youth defence concentrate serum features a proprietary active complex: Naturadiance PB18+ to help reduce the appearance of fine lines, help increase elasticity, restore radiance and increase hydration, while antioxidants create a natural defence shield to help protect against environmental aggressors. Leaves skin visibly glowing, hydrated and younger-looking. A lightweight daily moisturising cream that is formulated to deeply hydrate and help increase skin elasticity while providing essential protection against environmental aggressors. Leaves the skin visibly hydrated, supple and smooth. I also recently purchased a Clarisonic (from Sephora - haul post to come) and I have been using the clarisonic with my Jurlique goodies and it has been AMAZING! I love all of my Jurlique products, and they smell sooooo good!! I may not use some of them for their original uses (more on that in a bit) but I use every single one of these amazing products every day. First I remove any eye makeup with the Garnier Mi-Cellar Cleansing Water and a cotton pad. Next I jump into the shower (you can totally do this at the basin, i just find I get water EVERYWHERE!) I use the Daily Exfoliating Cream, to gently remove any dead skin cells. You use this in a press and release motion instead of your usual circular scrubbing motions. Then I put 3 tiny little pumps of the Balancing Foaming Cleanser onto my Clarisonic, turn it on and go for gold.. I tend to go cheeks and jaw first, then forehead, nose and chin. Once I'm out of the shower and dried off (gentle patting when drying the face) I spray 2 or 3 pumps of the Rosewater Balancing Mist - I love this! So refreshing! - around the face. Next up is the Herbal Recovery Advanced Serum, i use 1 pump and gentle press into my face and neck. Then I finish up with 3 drops of the Skin Balancing Face Oil which I also press into my skin, focusing on my cheeks which I have dryer skin there then the rest of my face. If I notice any red spots or pimples starting to emerge, I then grab my faithful tea-tree oil and put a little bit on the end of a q-tip and put on the red areas and by morning the redness has halved if not vanished completely! My morning routine is pretty much the same as my Night Time routine, except I switch out the Skin Balancing Face Oil and use the Balancing Day Care Cream instead. Now there is one product I haven't mentioned yet and its the Moisture Replenishing Day Cream, now I was using this instead of the Balancing Day Care Cream, however it is a very rich, and way to much for my Oily/Combination skin can handle. (I got this one free in the bonus pack - so their is no issue with being recommended the wrong product) So I went and visited the Jurlique Bar at Indooroopilly Myer and had a chat to the lovely lady there (I think her name was Sarah) and she said its a very rich cream and only recommends it to the driest of skins, she suggested using it as a body moisturiser, which I have been doing and its amazing! I tend to get scaly legs, because I forget to moisturise every day, but since using this, it hasn't been an issue, and it smells beautiful (like roses). 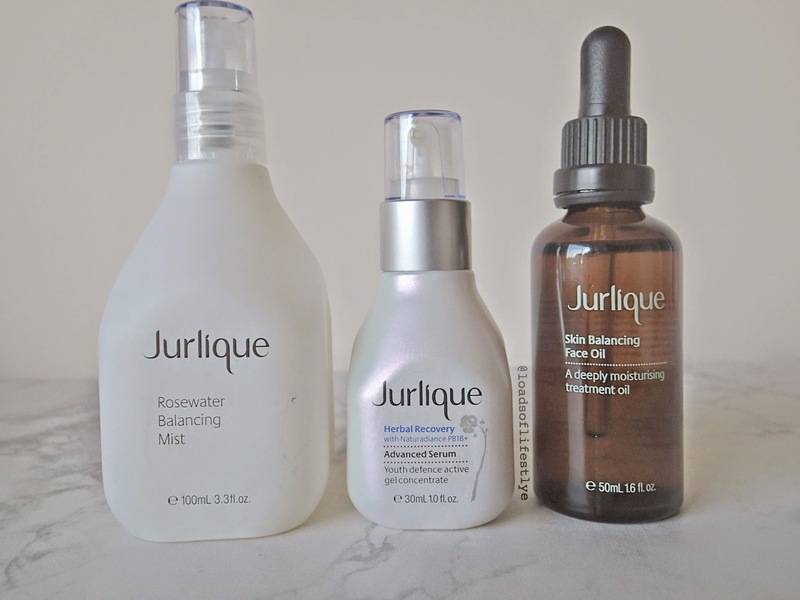 So thats my new Skincare Routine using mostly Jurlique products and I'm very happy so far and highly recommend using their products! Especially to support local businesses - I'm all for supporting Australian Made and Owned!! Do you use Jurlique products? What are your favourites and are there any that I'm not currently using that I should be?! Let me know in the comments below!! The three-product line, which is sold only on sejaa.com, consists of a Day Cream, Night Cream ($70), and Mud Mask ($56). It also features a Pure Skincare Kit ($120), which includes a two-ounce jar of each product, a spa towel, and a mud applicator. Here is what Giselle had to say in Vogue about her new line.